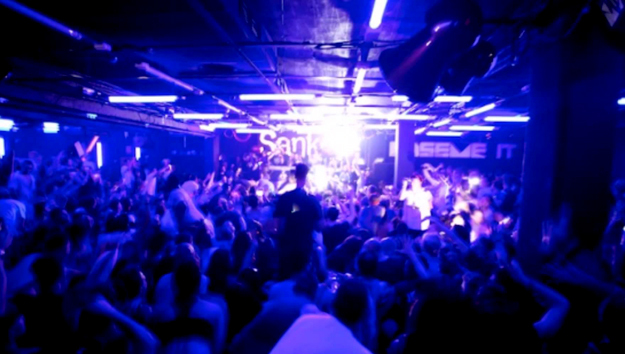 In 2014, Sankeys Ibiza proved itself as officially the fastest growing club on the island. Armed with another strong roster of unrivalled nights and the best artists from the world of house and techno, 2015 is only set to be bigger and better. The Seven Wonders of Sankeys Ibiza are announced today and I’m sure you will agree, we really are set for the best season yet! The Seven Wonders of Sankeys Ibiza are seven different and unique parties that will play out each and every night throughout the summer. Sankeys Ibiza entering only its 5th season will truly be pushing its boundaries once again this summer. Legendary nights will return and new and exciting brands will also break into the weekly programme. Of course, armed with now the loudest, finest and clearest sound system on the island, as well as with three scintillating rooms that have been decked out with new sound & lighting rigs, Sankeys Ibiza is the only place to experience house, techno, bass and plenty in between in the most amazing and authentic way. All set for its biggest year yet as Sankeys Ibiza still only in its 5th year, artistic director and legendary scene figure David Vincent is excited about what he has in store for you this year, saying, “This summer it really is Sankeys on steroids. Sankeys Ibiza really is awakening on all fronts and I am excited to see my new sound and light toys in action”. Every Monday from the 25th of May to the 28th of September, Amine Edge & DANCE will return for a second weekly residency with their label CUFF. Expect only the toughest, rawest house sounds from this French crew with friends Sirus Hood, Syap & Stuff joining the decks. Moving to Tuesdays from the 28th of May through to the 1st of October is the super on point house and techno, one and only night, the legendary and world famous Tribal Sessions. Last year this party proved itself to be one of the most cherished and talked about parties on the island. This year, residents Darius Syrossian, Sidney Charles, Sante and Jozef K will all be on hand to ensure that you dance from the first beat to the last kick each and every Tuesday. Wednesday’s events is kept as a guarded secret and will be revealed very soon. We can now reveal, hot off the press that every Thursday from the 18th of June through to the 24th of September, will see the debut of the legendary party Colors. This night was first run by David Vincent at the Hacienda between 1995 and 1997. Spelt the American way on purpose to represent the US house scene that was hot then and remains hot again now, Colors was responsible for breaking the early Garage sound in North England with residents like Matt Jam Lamont (Tuff Jam). The night is now making a popular comeback as Vincent has been drafting his biography, The Eccentric, and one of the chapters was devoted to Colors at the Hacienda. What with all the good memories, coupled with the re-emergence of the Garage sound, now is the perfect time to bring it back. Original residents Matt Jam Lamont and Sam Holt will be returning, as well as names from the House and Garage scene like Noir, EZ, Chris Lorenzo & legends like Todd Terry amongst a huge list of who’s who in this scene to be announced soon. Fridays welcomes a fantastic new addition that broadens Sankeys’ horizons and will go under the Shelter banner between the 22nd of May and the 25th of September. Shelter is a night presented by Ibiza Rocks and W.A.R.! Expect indie leaning and raved up sounds from drum & bass to urban, with super star Doorly as the weekly resident and curator. This night will be a home for Sankeys’ favourite records labels and crews including Rinse, Moda Black, Bugged Out, Bondax & Friends, Food Music and more. From the 30th of May through to the 26th of September, every Saturday welcomes back London carnival party kings and house lovers Magna Carta with a long list of top UK talent including East End Dubs, Leftwing & Kody, Josh Butler, Max Chapman & Igluu. And last but definitely not least we welcome back ViVA Warriors every Sunday between the 31st of May and the 4th of October. The one and only King of the Basement, ViVA label boss and DJ/producer extraordinaire, Steve Lawler and his ViVA Warriors night featuring key label artists Anek and Detlef will be returning once more. This night always proves one of the biggest at the club and has a really in the know crowd that loves the chunky house and tech served up. As I’m sure you will agree, the programme for Sankeys 2015 is already looking well thought out, finely balanced and diverse in its spectacular offerings. Add into the mix the club’s devotion to extra production and generally wild party vibes and you have a sure fire recipe for success once again in 2015. Parov Stelar Band Return to the UK – Win Tickets!